Availability Normally ships same or next business day with delivery average time of 1-4 days. Qualifies for an additional 10% off. See "DISCOUNTS" link at bottom or top of each page. Our most popular outdoor combo! 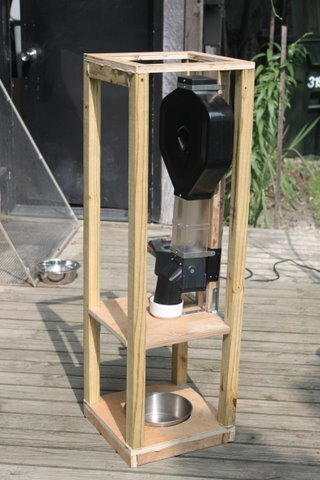 Buy this unique CSF-3XL to feed outdoor cats or other small animals. 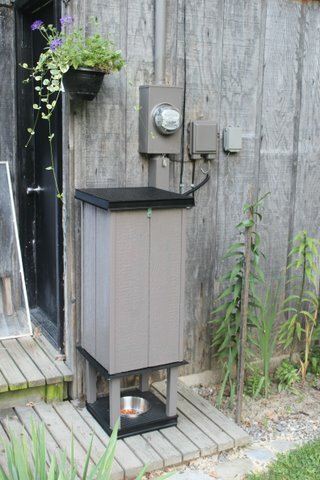 This Super Feeder has a capacity of up to 1.8 gallon capacity (approx. 5 lbs). 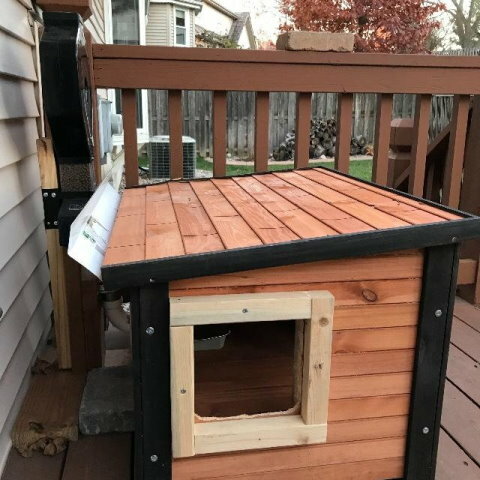 The feeder comes with installed chute cover, a weatherproof 120V power supply kit, a weekly ACDT-35 outdoor 120V digital timer to trigger and power the feeder up to 20 times daily all year long! Included with the outdoor power supply kit: One 6' short cord with a special screw-type sealed connector at one end to fit the power supply's output and a jack plug at the other end to fit the Super Feeder's side input jack (convenient for indoor testing before outdoor mounting). One long 30' long wire is also included to reach the Super Feeder with a special screw-type sealed connector at one end to fit the power supply's output and metal spade connectors at the other end to fit the feeder's auxiliary input terminals underneath its floor (this cord should be used outdoors). As an added bonus if ever needed to use your own wire, a coaxial plug-to-wire adapter is included with this kit. Original CSF-3XL Super Feeder serviceable for years to come, made in USA and sold by Super-Feed for over 23 years! All parts readily available and easy to replace if ever needed. Combo mounts outdoors to fit your pet's needs. Set portion size from very tiny to larger portions. Feed up to 20 times per day using included outdoor digital timer. 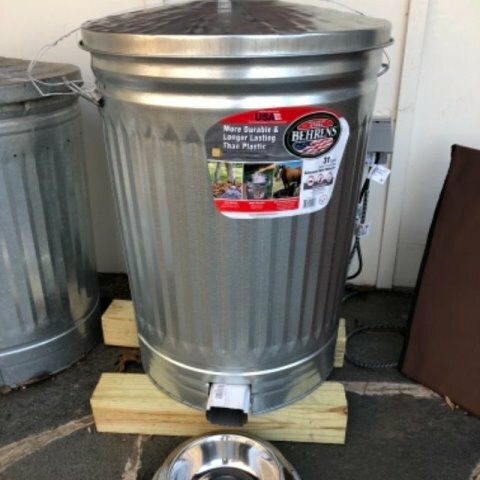 Trash can and and dog house installations shown are only mounting examples from past customers to help protect the Super Feeder from outdoor pests. Many other ways using your own imagination! 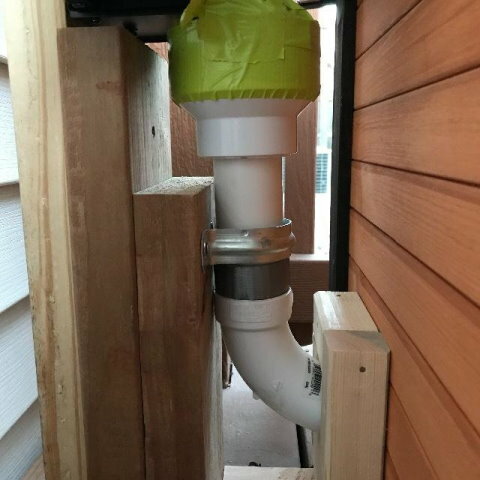 IMPORTANT NOTE WHEN INSTALLING THE SUPER FEEDER OUTDOORS: IF YOU HAVE WILD ANIMALS AROUND, PARTICULARLY RACCOONS, YOU SHOULD AT LEAST PROTECT THE CHUTE OPENING WHERE FOOD COMES OUT OR INSTALL THE FEEDER IN AN ADEQUATE ENCLOSURE OF SOME SORT AS SHOWN. Many ways! Voltage required: Power supply 110-120Vac 60Hz/12Vac output . Digital timer 120Vac 60Hz input/120Vac output. USA style plugs only-not battery operated. If a 120V power source is not available, you may even use any of our 6-24V timers listed here to use your own low voltage power source (some wiring required). SEE ALL OUR CUSTOMER EXPERIENCES AND PICTURES! NOTE: Small 1/4" round (spherical) kibbles like offered by Science Diet or other brands are recommended for best portion accuracy, but most other kibbles will work fine up to 5/8" diameter with perhaps a slightly reduced portion accuracy. Please be aware that the feeder will not “count’ kibbles, but tests have shown that an overall portion accuracy of +/- 0.1 to 0.2 ounce from one portion to another is possible. Although performance is guaranteed with recommended food as described, please be advised that due to variance of kibble sizes and shapes, 100% portion accuracy simply cannot be guaranteed for all feed cycles. That would of course apply to any feeder other than one with pre-filled compartments. NOTE: USING A NAME BRAND LIKE "SCIENCE DIET" IS ONLY A BRAND EXAMPLE. Customer examples of various outdoor installations. IMPORTANT NOTE FOR THIS COMBO! DO NOT EVER hook-up 2 power adapters/transformers at one time when setting up this combo. You may damage your feeder and/or other accessories and void your warranty. 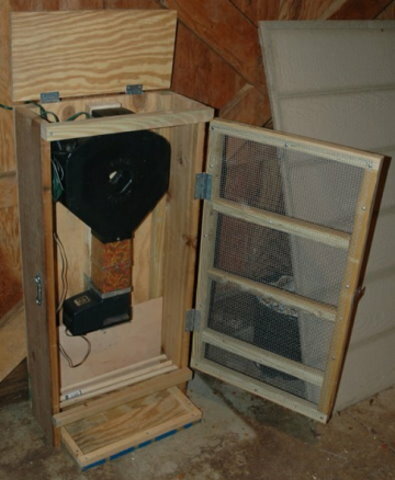 The standard SMALL power adapter included with all feeders is only to initially run and adjust your feeder indoors before final mounting outdoors using only the outdoor power adapter/transformer by itself. You may of course also use the small power adapter/transformer indoors by itself if you ever want to. ALSO, to program the supplied outdoor timer, only use the instructions supplied by the timer manufacturer to program the times you want to feed per day (on-off cycles). How to use the feeder with a regular external timer: Basically any plug-in timer like a lamp timer can be used. Just follow directions included in feeder's manual. For Wi-Fi control, we recommend a system like the Wemo Wi-Fi switch by Belkin. We also recommend various systems that are currently being used available at smarthome.com Note: Many Wi-Fi systems offered on the market today are perpetually vulnerable to perpetual changes and updates that can quickly render some products unusable. In regards to other Wi-Fi switches on the market, some may not work if the socket does not turn off completely (some do and some may not), meaning that any residual power coming out of it during its off time will prevent the feeder from resetting itself between programmed feed cycles. You can plug the supplied power adapter into a 100-240V module controlled by your system. You then turn the module on for a couple of minutes with your system, which in turn triggers and powers the feeder. 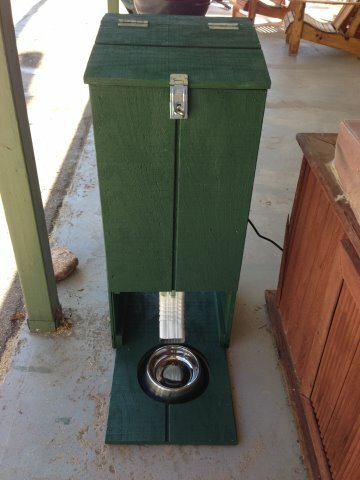 The feeder runs only for time in seconds you adjusted the feeder to give you the portion you want and then stops. 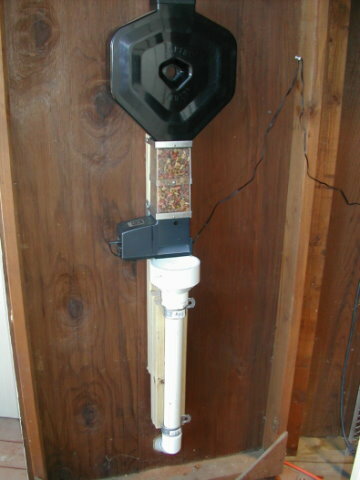 When you turn the power off for a couple of minutes, the feeder resets itself and is once again ready to be triggered at the next programmed time. If your system has 12 to 24 volts output ac or dc, you can do away with the feeder's own power adapter and hook directly to the feeder. 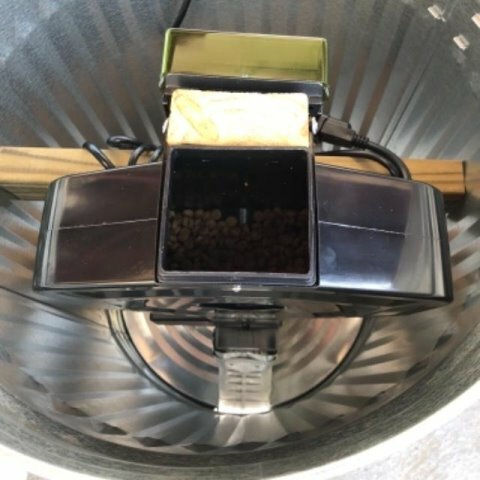 You could also control the feeder's run time entirely with your external system by setting the feeder's feed time controller to its maximum setting of 70 seconds. NOTE: Iris brand "smart outlet" in-wall has been reported to work with smart phone. Z-Wave Smart Outlet the "Quirkey+GE Outlink Smart Outlet systems will work. Some systems by Leviton may not work properly due to the fact that their systems such as Z-Wave module, Z-Wave receptacle and dimming modules may not completely turn off and thus not work with the Super Feeder. Any socket must not bleed any voltage while in off mode. A great companion to this Super Feeder combo would be adding the Kasa KC120 Cam 1080p Smart Home Security Camera by TP-Link. Unlike so many other built-in cheap camera feeders, that separate day/night camera is perfect because you can place it where you want and vary the field of vision and close-up on whatever you want as well as being able to record, speak and listen to your pet. Makes a great pet monitoring system! I purchased this product in October of 2014. I had a little problem with it at first, regarding the installation and the timer. I was able to get good, sound advice from the seller. The Super Feed has been operating without fail since (February, 2017). It has allowed my wife and I to go on vacations as long as 3 weeks. The cat is always there when we get back from a trip (not always happy with our absence). The combination of this project, with a water dispenser and a kitty tube for the car to sleep in with a heating pad to keep her at a cat's body temperature has been invaluable. Good solid purchase. I highly recommend it. © Super-Feed Enterprise Capacity theme by Pixel Union, powered by BigCommerce. WE ACCEPT NEARLY ALL CREDIT CARDS AND EVEN OFFER PAYPAL, PAYPAL CREDIT, CHASE PAY, APPLE PAY--DON'T FORGET TO REVIEW DISCOUNTS PAGE FOR EXTRA SAVINGS!